Eleven-year-old Grace has a beautiful gift that she calls the Knowing. However, her strict religious father sees it as something that belongs to the devil. Grace can talk to her twin brother who died at birth, she can see important parts of someone's past and future and she knows what people feel and think if they let her. Even though her father wants her to ignore what she can do, she grows up using it wisely. Grace's father is an Evangelical pastor, who fears his daughter's amazing capabilities. He treats her with contempt and excludes her whenever he can. Grace fights hard for his approval, but will she ever get it? In Grace's small hometown something terrible is happening. Grace knows she'll be able to find out more about this, but her father won't allow her to help. How can she find a way around his rules? Grace's sisters don't have the same abilities and her mother can't cope with the grief life has given her. Grace's only support comes from her aunt Pearl who only occasionally visits. Grace's school friend Lola and homeless man Lyle are the only ones who really know her. When her mother checks out from family life completely Grace's father makes life increasingly difficult for his daughter. What will Grace do, it will be hard to hide her gift from him, especially since she doesn't see it as something wrong, but as something good. Can she ever convince him? This I Know is a beautiful moving story. Grace is a sweet girl with a big heart. She's smart, wise and capable. She also has a special gift. The Knowing is something precious, she can help people with what she sees and feels. I loved how Grace makes up her own mind about her abilities instead of letting others make the decision for her. Grace's religious father constantly pressures her and punishes her in all kinds of ways for being different. This makes Grace sad, but she remains strong, she never wavers and I greatly admired her for it. Regular home life is a struggle for Grace, but she bears it and never complains. I absolutely loved this amazing girl and enjoyed her story immensely. Eldonna Edwards has a fantastic engaging writing style. This I Know is a magical story that touched my heart. I loved the vivid descriptions of Grace's surroundings, family and friends, the gorgeous gift she has been blessed with and the fantastic open way she sees the world. I was entranced from beginning to end. I love it when a story enchants me completely and This I Know is a book that will stay with me for a very long time. Eldonna Edwards has written an incredibly precious and thought-provoking novel. I highly recommend this brilliant story. If you love a combination of beautiful literary fiction and amazing magical gifts you don't want to miss This I know. Eldonna Edwards is the subject of the award-winning documentary Perfect Strangers and author of the memoir Lost in Transplantation, both of which follow her choice to donate a kidney to an anonymous person in need. Her debut novel, This I Know, won the Lillian Dean Award for fiction based on its opening chapters. 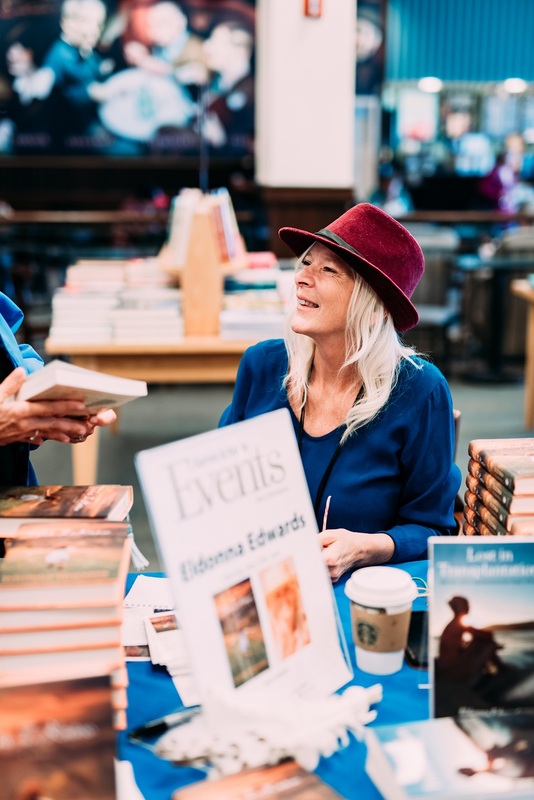 Also a veteran massage therapist and former journaling instructor, Eldonna is a born storyteller who “cut her teeth” on the back of Southern Baptist pews in her provincial Midwest hometown where her father was a preacher. The voice in this novel comes straight from the heart. Eldonna currently lives on the central California coast with her long-time partner. People sometimes ask me why young Grace’s story takes during the late 1960s/early 1970s. Why not set it even earlier or in contemporary times? My answer is that our lives are a reflection of the cultural backdrop that surrounds us and even more so during our coming-of-age years. Having grown up during that time only partly influenced my choice to stage my book during this amazing era. What better time frame for a girl to push the tightly-sealed envelope of her strict Evangelical upbringing than during the Cultural Revolution—especially in conservative Midwest America? Unlike the draft-card burners and protestors of the time, Grace is not a rebel. She merely sees herself as an awkward girl trying to fit in among her beautiful “normal” sisters. The last thing she wants is to draw more attention to herself and her special gift of clairvoyance. However, who’s to say whether the collective rebellion of young people asserting themselves and pushing back against the norms might influence a young preacher’s daughter to embrace rather than reject her individuality? Juxtaposed against Grace’s divine abilities is the emotional unavailability of her mama, who suffers from what we assume is post-partum depression. An unseen loss lies beneath the sadness that engulfs the mother of five and dutiful wife to Bible-thumping Pastor Henry Carter. We eventually learn that Isabelle Carter not only swapped her dreams of becoming a famous singer to marry Grace’s daddy, she shut down her deep intuition, the one gift Grace inherited and her father forbids. This is not only Grace’s story, it’s a story about people who championed for themselves or others within a provincial framework that meant a likelihood of rejection shunning. On a personal level, I grew up feeling like a left-behind flower child. It seemed like I missed all the cool stuff like Woodstock, The Summer of Love in Haight-Ashbury, and live concerts by talented performers who changed the landscape of contemporary music. In writing THIS I KNOW I was able to vicariously insert myself as well as my readers into a time when young men rejected barbers and women threw away their bras. Grace lives in a bubble, only mildly aware of the shifting tectonic plates of American culture. However, due to her clairvoyance she’s hypersensitive to the emotions of those around her. For example, Grace is unable to write a school essay about the Vietnam War because when she concentrates on the subject, the suffering becomes her own. She chooses to write about Janice Joplin instead but even then, she senses the young singer’s pain and depression. 70s were not necessarily innocent times but they were full of adventure, possibility and the kind of curiosity that relies on experience and intuition rather than an instant answer from Google. Would I want to return to the days before environmental protection or the expansion of civil liberties? Nope. But sometimes it’s fun to visit. 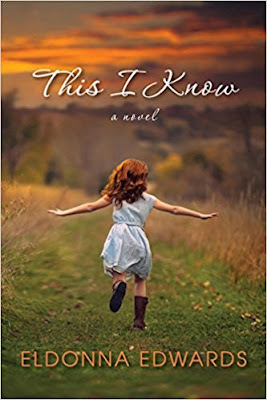 One very lucky reader of With Love for Books will receive a hardcover copy of This I Know by Eldonna Edwards. This I Know sounds like a lovely coming-of-age story filled with memorable characters. Love the cover, and the content looks like it would definitely not disappoint! The cover is so beautiful! It reminds me of my childhood. Sounds awesome can't wait to read it. Grace's gift caught my attention. Very interesting. Just by the setting and her "Knowing" i alone i know i would enjoy reading it. Thank you for the review and giveaway. This is such an imaginative idea for a book! “Daddy gives me The Look when I mention things I’m not supposed to know without someone telling me.” - this right here is why I want to read it. OOOH this sounds a great read and just look at the cover (sorry I keep saying that, but it's the first thing I notice). The cover definitely matches the story and it makes you want to learn more about the characters and the "knowing" and what happens next. I too enjoy stories set before mobile phones existed! I'm not a phone person and it's nice to escape them in fiction. This sounds really lovely. It's so typical of a 'good' child to want to do good and to help others.